(TibetanReview.net, Feb03’19) – China said Feb 1 that Bhutan under its recently elected new Prime Minister Mr Lotay Tshering had expressed willing to strengthen pragmatic cooperation with Beijing, including tourism, and resolve the border issue at an early date through friendly consultations. During a meeting with visiting Chinese Ambassador to India Mr Luo Zhaohui in the Bhutanese capital Thimphu on Jan 31, Tshering said his country attached great importance to relations with China and will adhere to the one-China policy, reported China’s official Xinhua news agency Feb 1. Any development of new relationship between the two countries is seen as being highly sensitive to India. 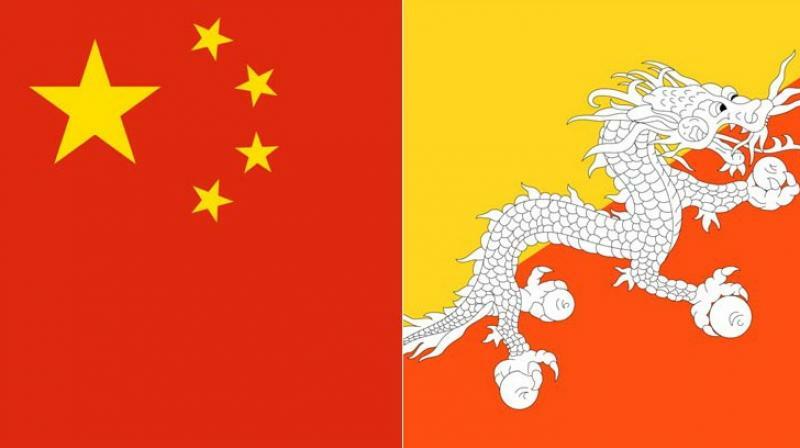 China has for long been pressurizing Bhutan to establish ambassadorial ties with it, engaging in never ending border talks and making occasional forays into Bhutanese territory, including with building of roads. The report cited Luo as saying the Chinese government always attached importance to developing friendly and cooperative relations with Bhutan. He has spoken of China’s willingness to work with the new Bhutanese government to strengthen pragmatic cooperation in various fields, speed up the negotiation process on the border issue, and push for new development of bilateral relations. Luo was reported to have also met with Bhutanese King Jigme Khesar Namgyel Wangchuck and Foreign Minister Tandi Dorji, among others.